Who needs groundhogs when you have black bears? Before you go into a form of hibernation after this weekend’s St. Patrick’s Day festivities, two black bears from a zoo in Ste-Anne-de-Bellevue have done the opposite. 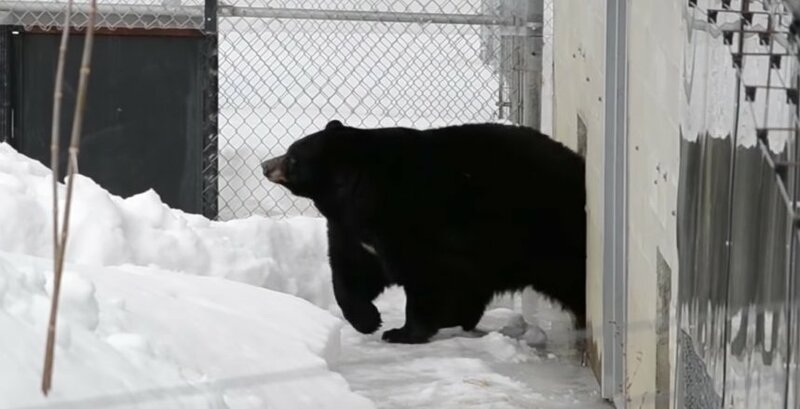 Juno and Genie, two burly black bears, have emerged for the first time this season in videos posted to Zoo Ecomuseum’s social media channels. Émilie Sénécal, the zoo’s director of communications, told Daily Hive that bear’s predictions of the arrival of spring are more accurate than other animals — no offence groundhogs. According to the zoo, Juno and Genie, aged 7 and 8, respectively, slept all the way through from the end of November until now (smart move). Check out the video below of the majestic mammals welcoming in the new season, “they’re not exactly agile in high levels of snow,” concluded Sénécal. No argument here, we aren’t either. If you’re itching for a chance to see Juno, Genie, and a slew of other animals, Zoo Ecomuseum is open every day from 9 am to 5 pm.